I am delighted to announce the unveiling of our new brand – BABCPHL. While we have a more modern look, our mission remains the same. 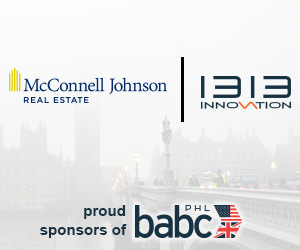 BABCPHL serves British businesses in the Greater Philadelphia region, including, Southeastern Pennsylvania, Southern New Jersey and the State of Delaware. We provide our members with valuable and timely programs and events; business development and networking opportunities; and thought leadership about current issues and government regulations that affect transatlantic business. There is no more important time than today to share information, create valuable business relationships, and learn current trends. BABCPHL is the go to organization to help you do that. Quite simply – we connect the dots. We help our members improve and grow their business. The relationship the US shares with the UK is strong and will become more so as we develop strategies and form partnerships to navigate the changing landscape. Our new logo communicates: forward motion, partnership between the two countries, transatlantic travel, growth, speed, prosperity, connections, and the geographies we represent. It’s contemporary, clean and clear. Change is constant and needed for advancement. I would like to thank you for your trust in me and BABCPHL. It has been a truly wonderful experience leading this Group. I am pleased to carry-out our mission of bridging the transatlantic gap, having recently moved to London to assume a new role with American Airlines. I would like to take this opportunity to introduce you to Michael Pedrick, Partner at Morgan Lewis & Bockius LLP. Michael has served on the BABCPHL Board of Directors in the capacity of Secretary and most recently as Vice President for more than a decade. If anyone knows the ins and outs of the BABCPHL it is Michael! Please help me welcome him to the role of Chairman. Michael, the entire Board of Directors, and BABCPHL staff look forward to working with you to create valuable relationships on both sides of the Atlantic. Our new fiscal year calendar is already full. Please check-out our activities and join us for our upcoming programs.